Countless studies have shown that music has a direct affect on people’s moods. This is powerful for anyone who works in the hospitality industry because the music you play can change the atmosphere and experience your guests have. But businesses can take this one step further. By adapting your music selection to different trading patterns you can influence your customer’s behavior and increase your business’s profits. Different types of customers will visit your business throughout the week. And depending on the time of day or the point in the week when they visit, they will be looking for a certain atmosphere. For instance, if you run a hotel, you may get primarily business guests during the week. They will probably want background music that is more mellow and would likely find loud or fast music off-putting. Whereas on the weekends, you will probably get a large influx of families with children. In this scenario, you might want to choose music that is upbeat and energetic. The key is to recognize the atmosphere your guests will be seeking and use it to your advantage. Identifying certain trading periods and choosing the right music has a direct impact on a business’s revenue. For instance, let’s look at this study on how the volume of music affects how quickly bar patrons consume alcohol. Researchers studying alcohol consumption found that when bars play music, patrons tend to drink more quickly and spend more time there. But it’s not just the music that affects drinking – it is also how loudly the music is played. Researchers found that the number of drinks ordered increased from 2.6 to 3.4 when the music was increased from low to high volume. And for guests drinking beer, the average time for finishing their beer was 11.51 minutes when the volume was turned up higher. Comparatively, guests took 14.51 minutes to finish their beer when the music was turned down low. In another study, researchers were interested in finding out how the tempo of the music would affect restaurant guests. Would the tempo of the music affect how much time guests spent in the restaurant? They visited an upscale Italian restaurant to see how guests would respond to both fast (94 beats per minute or higher) and slow (72 beats per minutes or less) music. They found that when slower music was played guests stayed at the restaurant an average of 13.96 minutes longer. This is why many restaurants will play upbeat pop music during their peak business hours. Studies have shown that having a playlist that represents the company’s brand can increase their sales by nine percent. Music can be a powerful tool to increase customer satisfaction and boost sales at your business. So how can you ensure that you have the right playlist for your customers? If you aren’t sure where to start, Ambie can help. 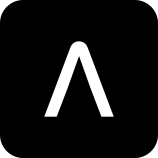 Ambie creates music soundtracks that are designed just for your business based on your objectives, your end customer profile, your trading patterns, etc. And the music is always updated to match the atmosphere and reflect your brand in a positive way.